Born: 2 November 1884, Waterford, Republic of Ireland. Died: 21 December 1964, Johannesburg, South Africa. John H. Power, teacher and naturalist, was trained for the ministry and as a teacher in Dublin, Ireland. In April 1904 he came to the Cape Colony to take up an appointment as teacher at the Christian Brothers College in Kimberley. In March 1920 he was appointed principal of the South African School of Mines (later renamed the Griqualand West Technical Institute) in Kimberley, a post he held for 27 years. Power was a keen collector of natural history specimens. In 1905 he met Dr L.A. Péringuey, director of the South Afircan Museum, Capte Town, who advised him to take up the study of reptiles and amphibians, as these received little attention at the time. Power made these groups his speciality, collecting and studying their life histories in various parts of the country during his holidays. His first scientific paper, as co-author of John Hewitt*, appeared in the Transactions of the Royal Society of South Africa in 1913 and dealt with "A list of South African Lacertilia, Ophidia, and Batrachia in the McGregor Museum, Kimberley; with field-notes on various species". It was followed by some 40 others, including "A monographic revision of the genus Breviceps, with distribution records and descriptions of new species" (Annals of the South African Museum, 1926). Also of particular importance were his life-history studies and careful descriptions of the external features of a variety of tadpoles. Many of his papers were published in the Transactions of the Royal Society of South Africa and the South African Journal of Science. Among others the amphibian species Breviceps poweri, Bufo poweri, and Hyperolius poweri were named in his honour during the nineteen-thirties. Power became increasingly interested in archaeology, particularly after reading J.P. Johnson's* book The stone implements of South Africa (1907). As early as 1909 he presented stone artefacts to the McGregor Museum and was thanked by the director, Miss Maria Wilman*, in her annual report for his careful collecting in the neighbourhood of Kimberley. He spent most weekends collecting Early Stone Age artefacts and fossil bones at the diamond diggings along the Vaal River and presented his finds to the McGregor Museum and later to the Archaeological Survey (which later became a research unit at the University of the Witwatersrand). Several fossil finds were named after him, including Equus poweri. On his various trips he also made rubbings of rock art, most of which are housed in the McGregor Museum. One of his archaeological discoveries, in 1913, was an Early to Middle Stone Age site among the shifting sand dunes near Mossel Bay. The artefacts he collected there are in the McGregor Museum and the South African Museum, Cape Town. During 1910-1913 he also presented many stone artefacts, and a variety of zoological specimens (lower vertebrates, beetles, spiders), to the Albany Museum, Grahamstown. In June 1947 Power succeeded Maria Wilman as Director of the McGregor Museum in Kimberley, a post he held until his retirement in June 1958. For some years of his term of office the museum suffered a chronic shortage of funds and staff, but later the position eased and he was able to initiate the construction of the new museum building. After his retirement he spent some time with his son in Northern Rhodesia (now Zambia) and Kenya, before settling in Pietermaritzburg in 1960. He continued collecting until a few years before his death. He died of a stroke at his son's home in Johannesburg. He was a quiet person with a dry sense of humour and wide interests. Power was a Fellow of the Linnean Society (FLS) and a Fellow of the Zoological Society of London (FZS, 1931). He became a member of the Royal Society of South Africa in 1920 and was elected one of its Fellows in 1931. 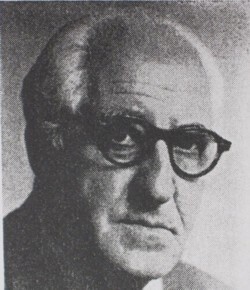 As a member of the South African Association for the Advancement of Science he served as president of Section D (which included zoology) in 1934, with a presidential address on "Some South African herpetological problems" (South African Journal of Science, 1934, Vol. 31, pp. 98-116). In July 1947 he received the association's very first Certificate of Merit in recognition of his important contributions to knowledge of the fossil mammalian fauna of the Vaal River deposits. In 1935 he became a member of the Cape Natural History Club. He was a foundation member of the South African Archaeological Society and of the Wild Life Protection Society. The plant specimens that he collected are in the McGregor Museum Herbarium. Annals of the Transvaal Museum, 1930, Vol. 14(1), paper by J.H. Power. The Cape Naturalist, July 1935, Vol. 1(2), pp. 62-63, Club role: Supplementary list. Cape of Good Hope. Report of the Alexander McGregor Memorial Museum, 1909. Channing, A. Historical overview of amphibian systematics in southern Africa. Transactions of the Royal Society of South Africa, 1999, Vol. 54(1), pp. 121-135. McGregor Museum. Annual reports for 1911, 1913, as published in the Diamond Fields Advertiser; copies received from McGregor Museum. National Automated Archival Information Retrieval System (NAAIRS) at http://www.national.archives.gov.za/naairs.htm Documents relating to Power, J.H. Obituaries: Mr J.H. Power, FRSSA. Southern African Museums Association Bulletin (SAMAB), 1965, Vol. 8(6), p. 200. Obituary, J.H. Power, 1884-1964. South African Archaeological Bulletin, 1965, Vol. 20, p. 74. Power, Peter B (son of John H. Power). Information supplied to the South African Association for the Advancement of Science, April 2001. Poynton, J.C. The Amphibia of southern Africa: a faunal study. Annals of the Natal Museum, 1964, Vol. 17, pp. 1-334. Report of the South African Association for the Advancement of Science, 1917: Paper by J.H. Power. South African Journal of Science, 1929-1934, Vol. 26, 28, 29, 30, and 31: Papers by J.H. Power. Transactions of the Royal Society of South Africa, 1913-1934, Vol. 3, 9, 13, 14, 17, 20, and 21: Papers by Power.